Dr. Anne CC Lee felt the weight of his lifeless body press against her fine arms. Hours earlier she had received the call that the baby had been born barely breathing after his mother spent more than 24 hours in labor. Lee literally ran to the remote Himalayan village, with local Tibetan doctor So Drogha, abandoning motorcycles that could no longer traverse the poor roads leading up to the house where mother and baby waited. 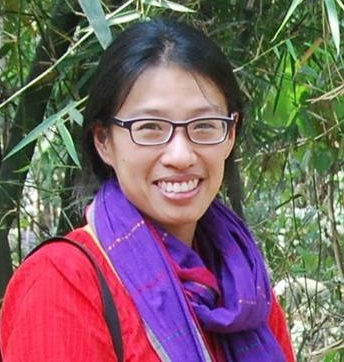 Lee, who had worked in rural health clinics in Tibet, India, Africa and China, knew that after such heartbreaking experiences in the field, she needed to find a better way to help improve birth outcomes of babies in places with few resources and weak health systems. Lee soon diverged from her training as a primary care pediatrician, and she entered the field of epidemiology and public health. Her mission: to investigate the major reasons underlying newborn deaths in low-income countries, understand the environment and health systems in which they occur, and develop tools and interventions to prevent them. She has devoted much of her career to understanding the risks of childbirth and measuring the burden of newborn morbidity and mortality in the world’s poorest communities. Her research findings have been included in a recent Lancet series and in the Every Newborn action plan, a World Health Organization and UNICEF initiative to guide the design of national policies to end and prevent newborn deaths worldwide. In addition to her epidemiological research to help inform global policy makers, Lee travels frequently to Sylhet, Bangladesh, where she works in the Projahnmo (Project to Advance the Health of Newborns and Mothers) study site, a partnership with the Johns Hopkins Bloomberg School of Public Health, ICDDR-B (international center for diarrheal diseases, Bangladesh), Shimantik NGO, and the Bangladesh Ministry of Health. In this rural northeastern district in Bangladesh, almost 90 percent of mothers have no prenatal care and give birth at home, and the rates of newborn mortality and stillbirth are very high. The Projahnmo group was established by Professor Abdullah Baqui in 2001, and has trained community health workers to provide essential prenatal and newborn care to all mothers in their catchment area. “Most babies only need a few essential things to get the right start, so it’s about teaching the mother how to breastfeed early and adequately, keep the baby warm and recognize signs of illness to seek health care early. These are the simple essential things most babies need to survive,” said Lee. Anne Lee shares this photo of a mother and baby in Tibet. In training community health workers, Lee has also worked on creating simple tools and algorithms to help them assess immaturity and illness. She recently participated in a challenge called “Saving Lives at Birth,” launched by USAID, the Government of Norway, the Bill & Melinda Gates Foundation, Grand Challenges Canada, and the Department for International Development. Lee and her team presented ways to help community health workers identify and manage premature and small babies in a home setting, since many births in low-income countries are at home. She looks to simple, low-cost methods. “We proposed a simple plastic ruler that can be used to screen for prematurity and jaundice in the home setting. The health worker measures foot length as part of screening for prematurity and/or low birth weight. Having a small foot in the “red” zone of the ruler indicates that the baby is high risk, and should be sent to a hospital and visited more frequently at home by the community health worker,” said Lee, demonstrating the ruler she and her team developed. On the other side of the ruler is a color strip with varying shades of yellow and beige to identify jaundice, a yellow discoloration of the skin and eyes caused by excess bilirubin in the blood. The health care worker would press the strip against the newborn’s nose and select the color on the strip that best matches the blanched skin to determine the severity of jaundice. Lee plans on developing and testing the tools and algorithms her team, Rachel Whelan and Karima Ladhani, has developed at BWH and in Bangladesh next year. If they are accurate and feasible, she says that the next step will be to study whether their use will help improve health outcomes in different settings and populations. Her team is also planning to develop a mobile phone application to aid community health workers in the basic newborn care of sick and small babies. Practicing both in Boston—a city teeming with first-class academic and community medical centers—and in isolated, remote pockets of the world with little infrastructure, Lee reflects on the unpredictable circumstances of human life. Lee pauses for a moment, and although she is silent, her eyes tell stories of birth and motherhood—its sorrows, beauty and fragility.